Heat oven to 350°F (or 325°F for dark nonstick pan). Spray 15x10x1-inch pan with cooking spray. Separate dough into 8 biscuits; cut into quarters. 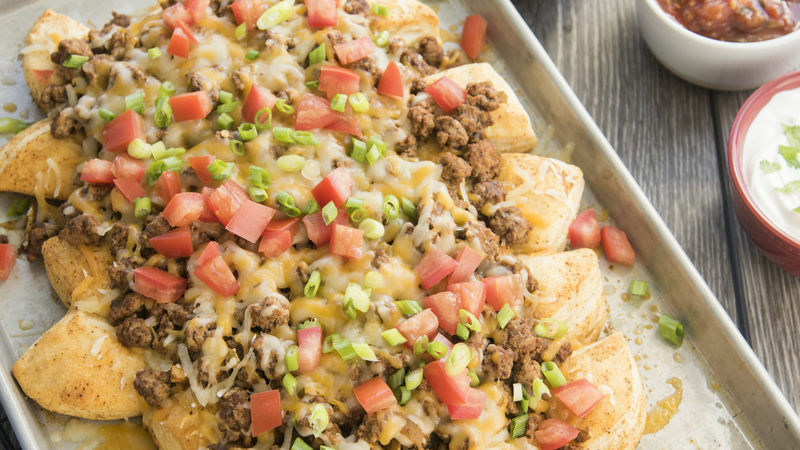 In large bowl, toss biscuit pieces with melted butter and 1 tablespoon of taco seasoning mix until well coated. 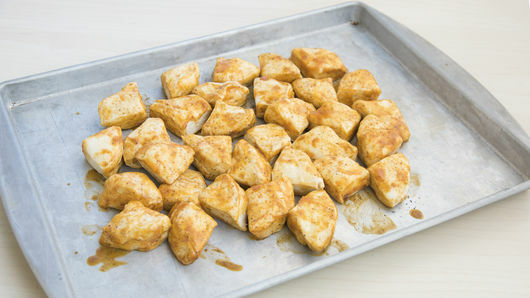 Place biscuit pieces close together in a single layer in the pan. Bake 15 to 18 minutes or until biscuits are just baked through and light golden brown. Meanwhile, in 10-inch skillet, cook beef 6 to 8 minutes over medium-high heat, stirring frequently, until fully cooked and no longer pink; drain. 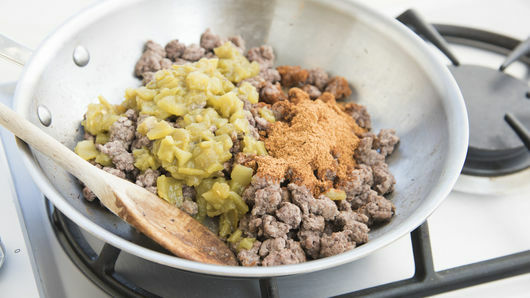 Stir in remaining taco seasoning and green chiles. Reduce heat to medium; cook 2 to 3 minutes longer or until heated through. 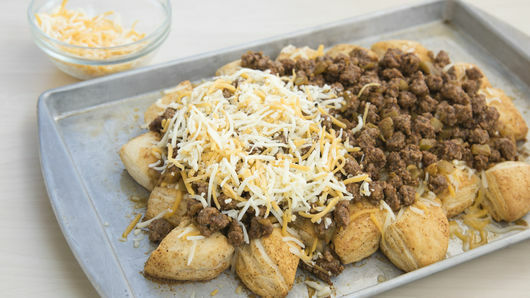 Top biscuit pieces with 1 cup of cheese, beef mixture and remaining 1 cup of cheese. Bake 5 to 7 minutes longer or until cheese is melted and biscuits are golden brown. Top warm biscuits with tomatoes, green onions and other fresh toppings as desired. Serve immediately. Swap 1 lb ground turkey for the beef, if desired. Have fun with toppings! Add black beans, sautéed veggies or sliced avocado for a fresh addition.